Earnify Native advertising network details. Earnify is one of the best native advertising platforms for advertisers and publishers. With a network consisting of more than 800 advertisers and 5,000 publishers, Earnify has contributed to 9,000+ successful campaigns of its partners. Earnify also connects with other major native advertising networks, thus delivering results much faster. At Earnify, cutting-edge technologies are leveraged to maximize conversion rate and ROI. Using the given platform, you are 100% protected from any fraud by a fraud detection system that scans every single click and impression, and you will be bidding on quality traffic only. 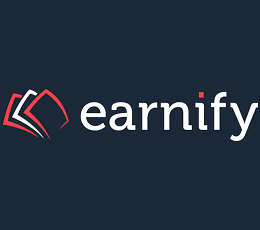 Sign up for Earnify today and start promoting your content! You can check Earnify reviews on Affbank and ask Earnify Team any question by using the contacts above, especially about how to earn money!